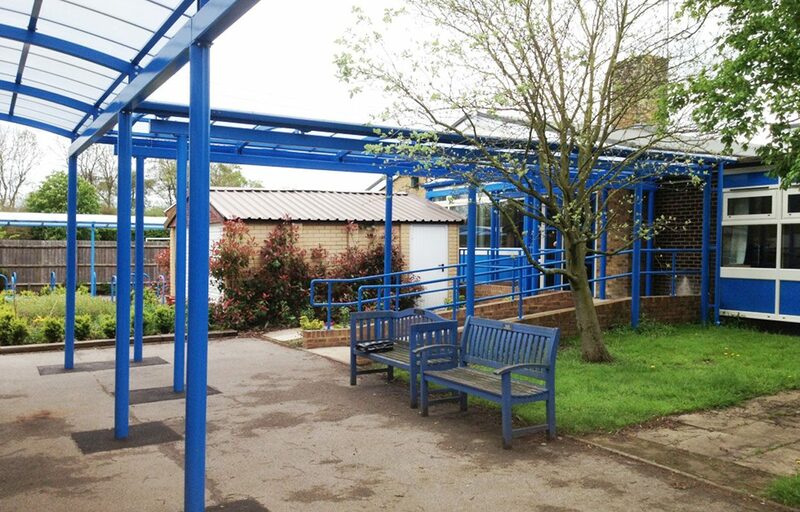 Set of covered walkways for Bedgrove Junior School. 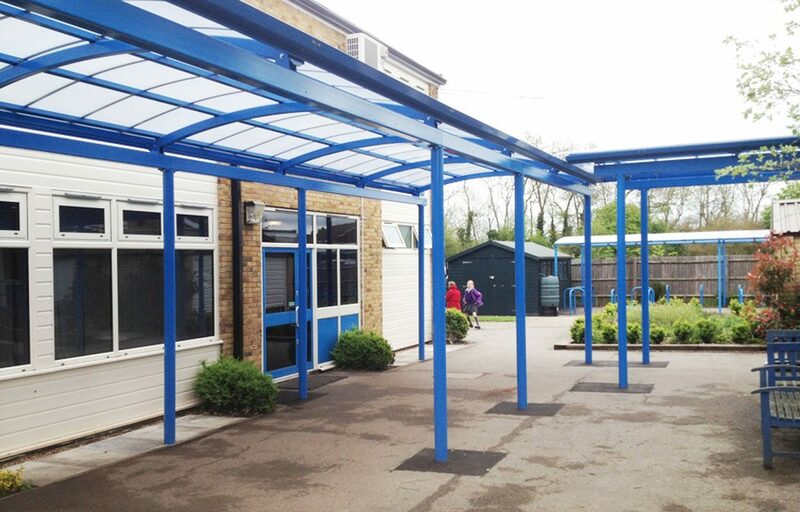 This set of three box hoop walkways link two buildings at Bedgrove Junior School, keeping students and teachers protected from the weather. 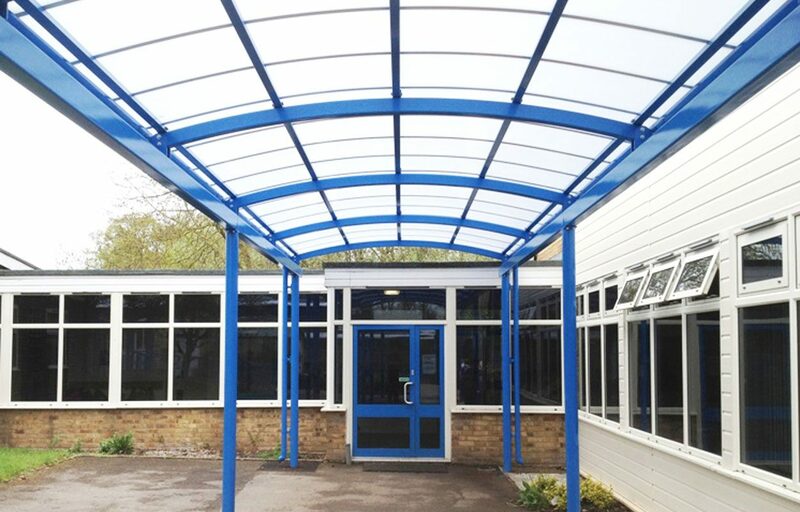 The 16mm triple clip polycarbonate roofing system is used to create a hard wearing roof covering for our walkways and can be used for a wide range of glazing and roofing applications. 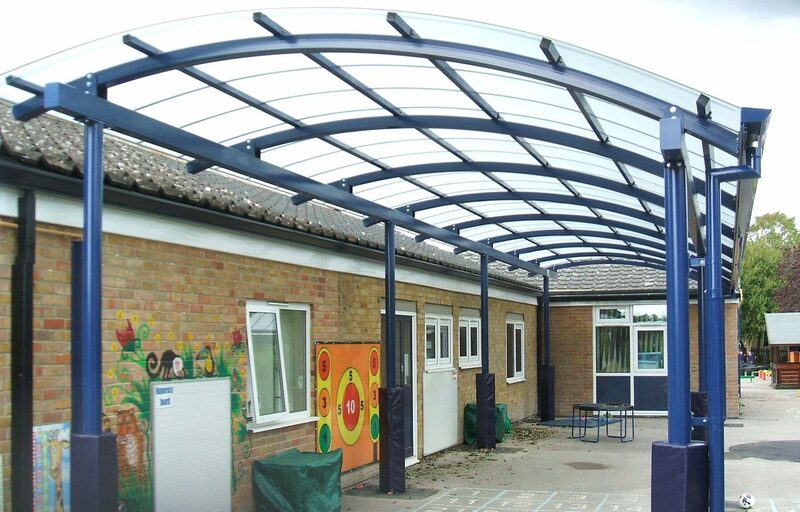 Colour: Polyester powder coated to match existing finishes. 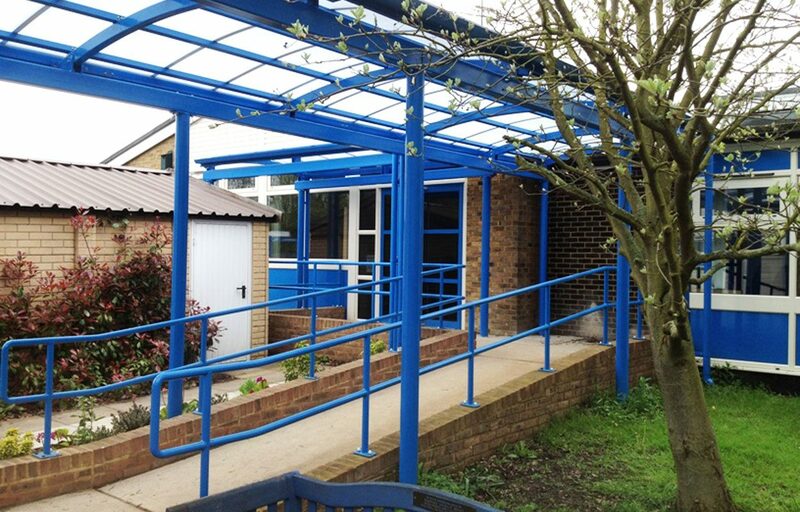 Structures can also be hot-dip galvanised for minimum maintenance.